The architecture student Britt Kornum originally designed the Norm03 light for sale here for her own use above her dining table. However as more and more friends and acquaintances advised her to make her idea public she turned to the Danish company Normann Copenhagen. 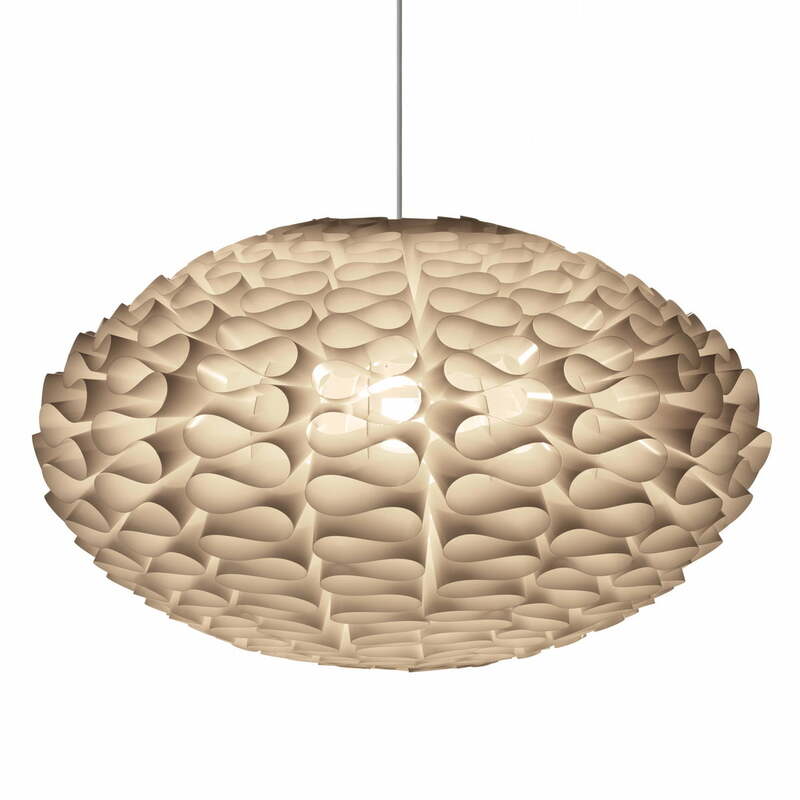 The Norm03 light wins you over with its organic and lively shape. Two lamp film strips wind into and around each other like a snake and thus strengthen the impression of well-organised chaos. 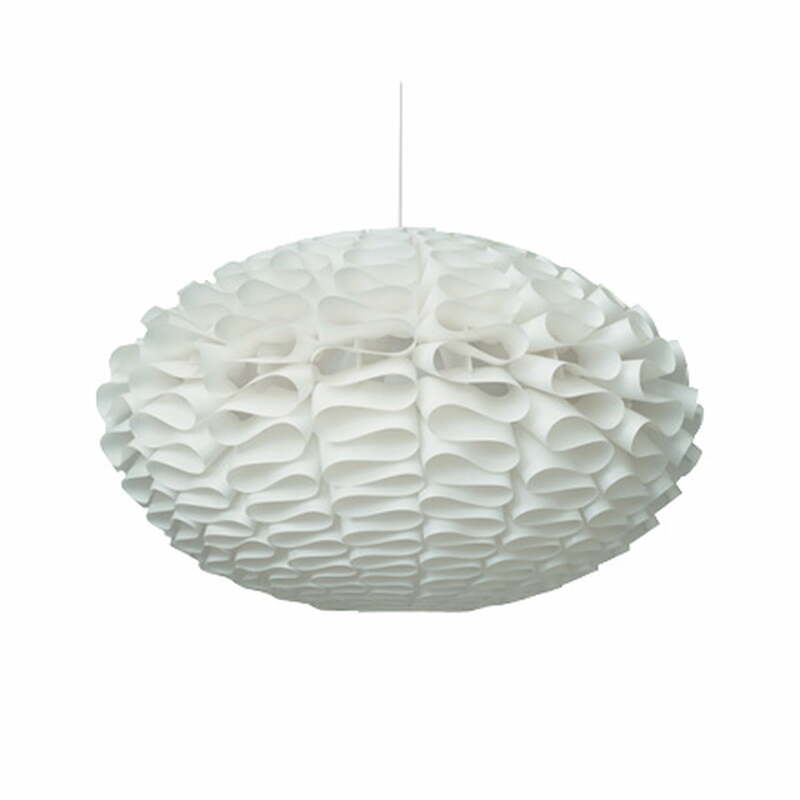 The Norm03 lamp projects sculptural effects onto the walls and ceiling when it is switched on. The Norm03 consists of 39 parts which you have to assemble yourself. You don’t need glue or tools and assembling it yourself makes it very special and personal. 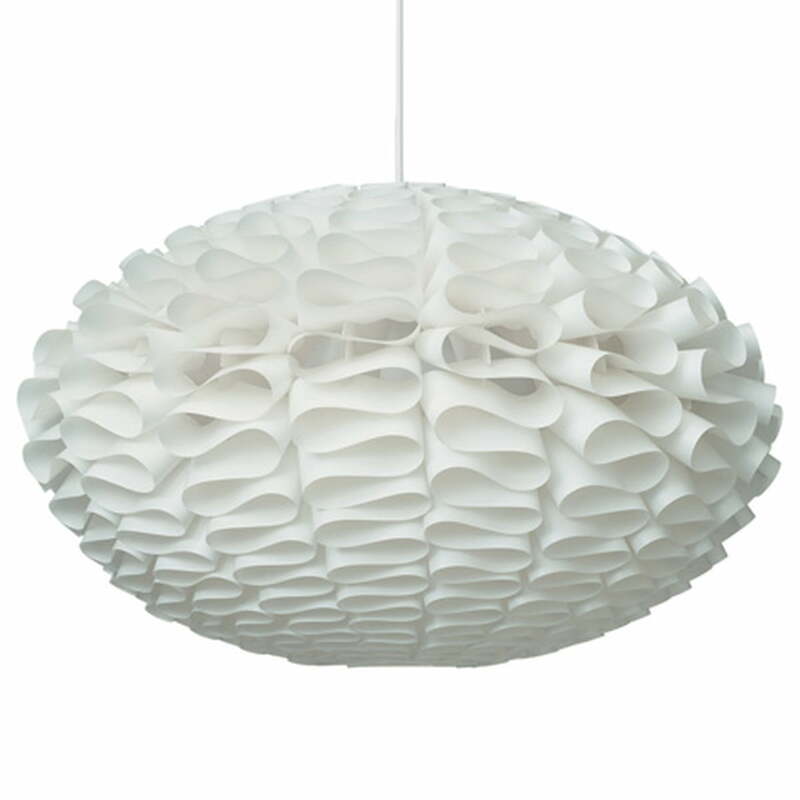 The Norm03 light from the Normann Copenhagen company was awarded the Formland Prize in 2003, additionally it received the title “Best Item” at the Imm in Cologne in 2004. The Norm03 consists of lamp film strips and is available in two different sizes. Very pleased with the design, however, the whole construction is a bit unsteady and some of the stips ocasionally pop out, also take quite a bit of time to assemble. If buying a similar product next time would prefer something that is a bit stedier.